In 2013, there are probably more rumor’s in gadget world then in any other earth cracking or disaster’s. We have survived the Dec 21 trauma, and now we are ready to take some more. Gadgets are preferably the most easy targets to get caught in rumor’s as photo editing has become more and more easy and effective. On any social network you would probably see photo manipulations on your timeline. Here in this post we have collected 5 best and top of the top rumor’s for 2013 all related to gadgets. I hope to see more rumor’s in line for this year as it proceeds further. Having successfully entered the tablet market with the Kindle Fire, could Amazon’s next product launch be an iPhone-rivalling Kindle phone? “Anonymous sources” say so, and suggest the Android-modified handset could be bundled with a 4G data package to add extra value. 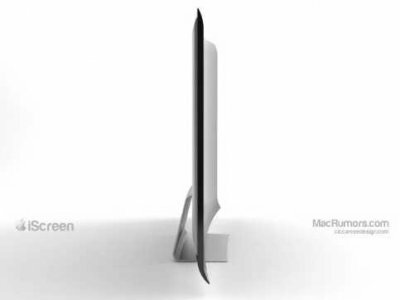 Rumours suggest that Apple will launch a dedicated TV set in the first half of 2013. Possibly called the iScreen or iPanel (it already has a set-top box called Apple TV), this could offer streaming TV, film and games services; have built-in Siri and FaceTime; and be controlled using your iPhone or iPad. The Wall Street Journal says talks are “well on the way” for Google and the US satellite company Dish to team up on a 4G wireless broadband service. The success of Android phones and tablets makes this a logical step, but could we see a Google-branded high-speed mobile network launch over here? 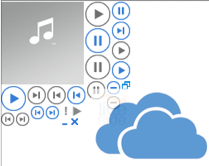 Microsoft may add a cloud music player to its online storage service, SkyDrive. As with Amazon and Google, the player will scan and match tracks you already have, as well as letting you play songs you buy from the Xbox Music Store. The BBC is allegedly working on music version of the iPlayer, which would let you stream thousands of songs from its archives to your PC, TV or mobile device for free. The service could be help up by licensing issues and potential objections from the likes of iTunes, but it sounds like a top idea to us! Drop off some more links or rumor’s to share it with our readers in the comment form below. We hopefully will make another good post on it in upcoming posts.